This Item is part of our Promo #6, Buy three for the price of one deal. Please click Promo # for details. 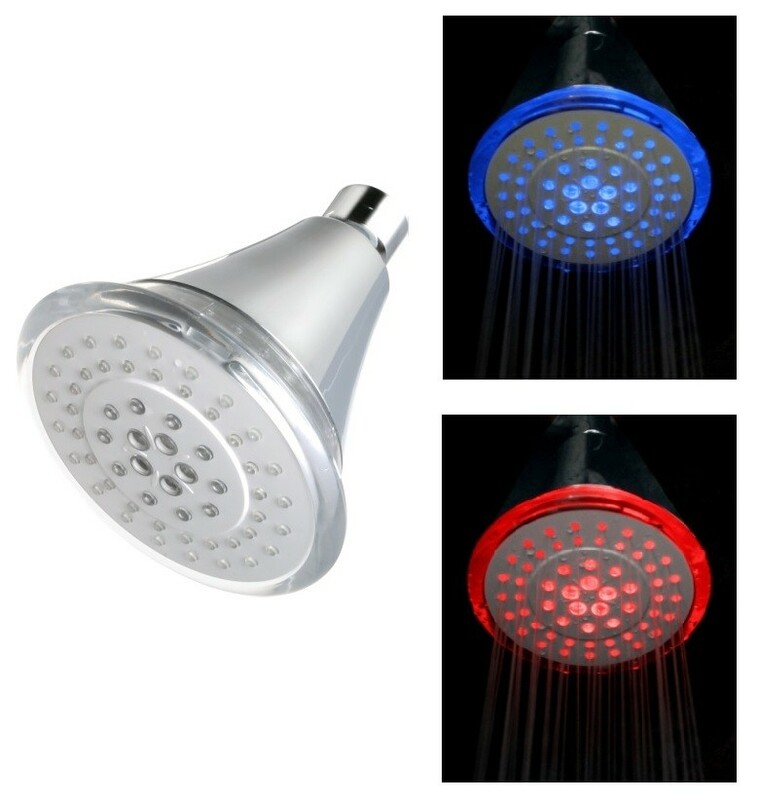 This Eco-friendly LED shower head shows temperature of water through its LED color (Red or Blue) and It gives you a different relaxing shower experience with 5 types of water flow: saturating, massage, dot massage, saturating & massage, saturating & dot massage. Package Dimension: 8.86" x 6.10" x 4.33"